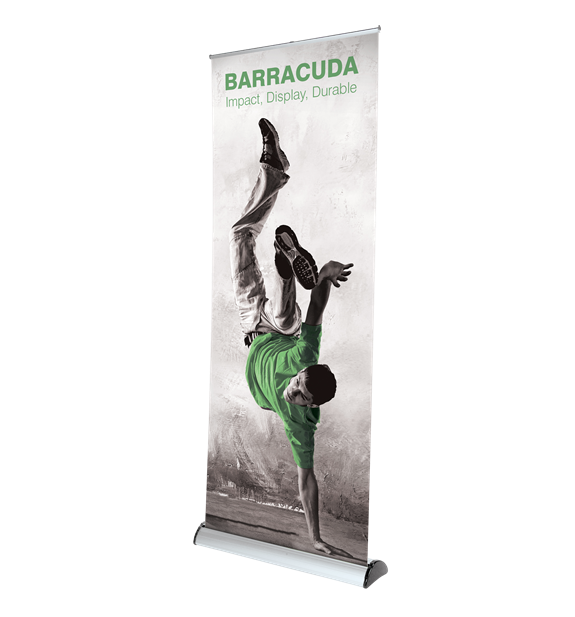 This is an entry-level banner and one of the best-selling roller banners on the market at this level. 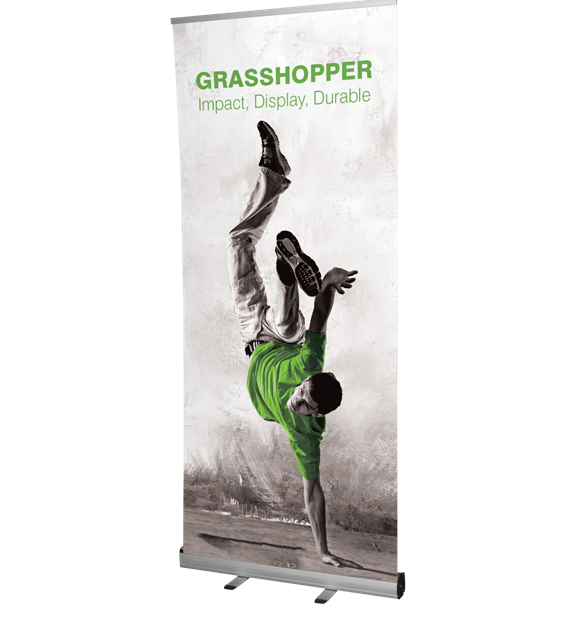 The Grasshopper offers classic styling with durability, self-adhesive rail and twin twist out feet for stability, ideal for any indoor environment. looking to position a semi-permanent graphic. The Grasshopper hardware system has a 1-year guarantee. This system is not designed to update graphics at a later stage. 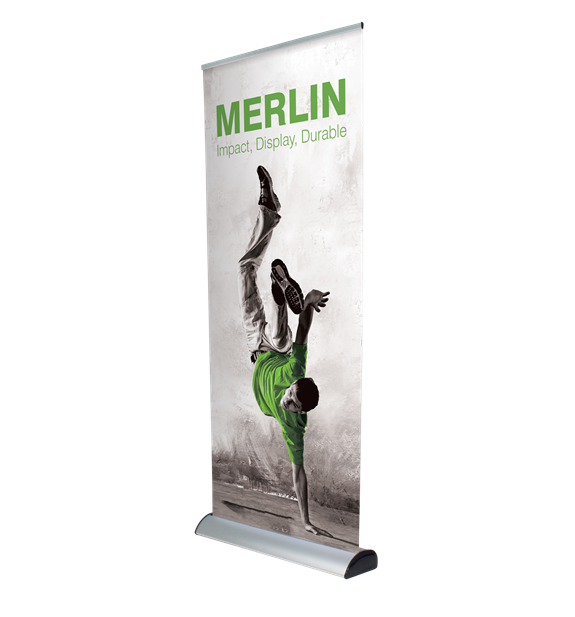 A Popular stylish roller banner in 800,1000,1200, 1500 and 2000mm widths. Our opinion: A great mid-range product with an innovative “front of base” graphic maximising the graphic area making the hardware system virtually invisible. This hardware system has a 5-year guarantee and is designed to allow for updating graphics in the future. Our opinion: A professional banner with the ability to re-tension graphics . This hardware system has a life-time guarantee and is designed to allow for updating graphics in the future. cost of ownership. This product has a 5-year guarantee. 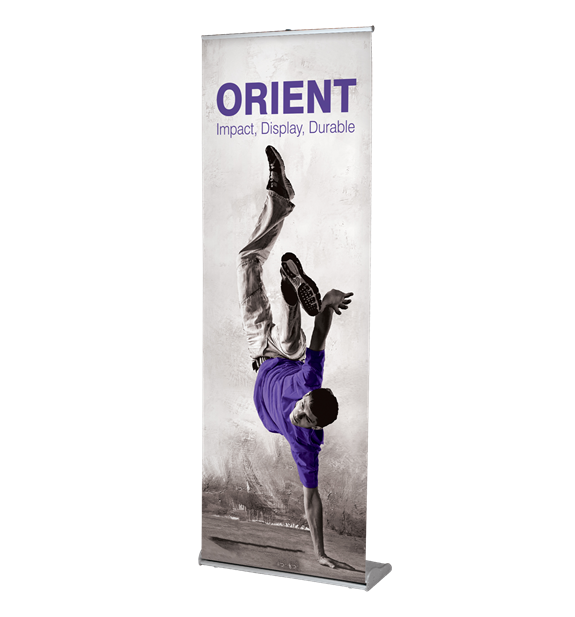 delivers a lightweight portable solution that can provide a larger graphic backdrop with interchangeable graphics. Easy to Use and versatile. 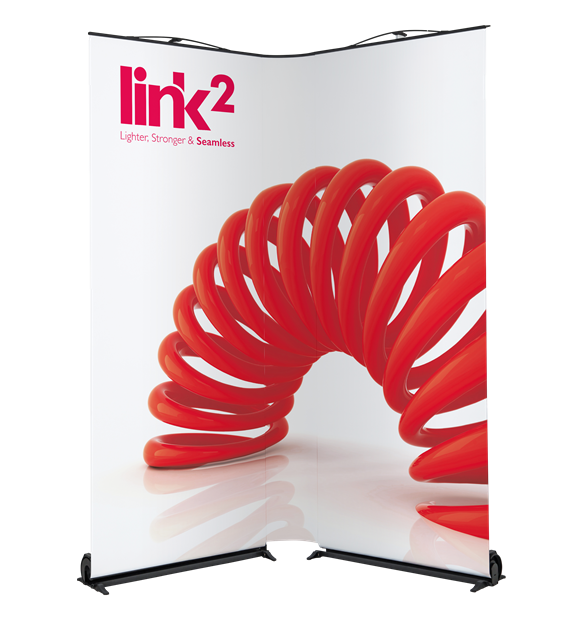 The Link² roller banner is the perfect solution for small to medium stand spaces. Its versatility means that you have total control of the configurations you create. This is especially relevant because available stand spaces can vary from exhibition to exhibition. Our opinion: If you are looking for a simple system that provides an extended graphic backdrop then the Link² is a perfect banner stand solution.